· Is a 501(C)3 not-for-profit organization. · Operates state-of-the-art facilities, provides innovative programs, and is on the cutting edge of advancements in the diagnosis and treatment of communication disorders, literacy, autism, social-emotional development and learning difficulties. · Is approved by the NYS Department of Health and the NYS State Education Department. The Organization serves individuals of all ages and cultural backgrounds through its clinical and educational programs. · Is one of the largest freestanding hearing, speech, and learning centers offering this comprehensive scope of services in the United States. · Has clinic locations in Buffalo, Amherst, West Seneca, and Wheatfield and has school locations in Buffalo, Lockport, Cheektowaga, Williamsville, Angola and Fredonia serving Erie, Niagara, Chautauqua, Cattaraugus and Genesee counties. BHSC has an affiliate organization in Chicago offering autism services in a clinic setting and contracted professional and related services to Chicago area Charter Schools. · Over the past 15 years, has experienced significant growth and development in all of its programs. Growing from a staff of 17 in 1986, the Center currently employs over 400 FTE professional and support staff. Revenues have also increased from $625,000 in 1986 to over $20,000,000. · Employs a multidisciplinary team of Licensed and Certified professionals, including: speech-language pathologists, audiologists, occupational therapists, physical therapists, music therapists, social workers, school psychologists, special education teachers and classroom aides. · The Oral Deaf Education Program is one of only 7 Certified Moog Centers (teaching deaf children to use oral language) in the nation. · Developed a Language to Literacy Program offering intervention to help children and young adults who cannot read to "re-claim" their literacy right. The BHSC Language to Literacy Curriculum is in operation nationwide with programs in Seattle, New Orleans and Chicago. · Is an advocate and leader in Early Childhood Education and Early Intervention. 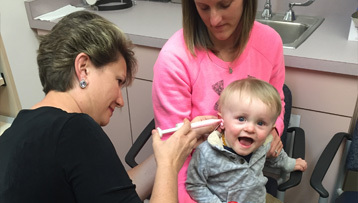 · Annually serves more than 10,000 patients of all ages through its programs in audiology, speech-language pathology, early childhood special education, oral deaf education, literacy and autism. 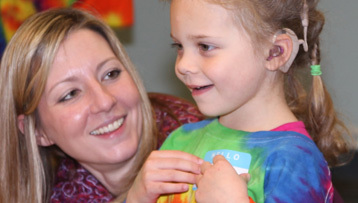 · Has a Cochlear Implant Team that works to bring the joy of hearing to deaf children and adults. · Offers a comprehensive credit bearing Continuing Education Program for speech-language pathologists, audiologists, occupational therapists, social workers and special education professionals throughout the WNY community. · Buffalo Hearing & Speech Center is consistently voted by employees as one of the Best Places to Work in WNY.